Scars will fashion themselves on us in different ways, never to leave. But what will we say about those scars when someone sees them? Hurt happens; sin happens. The question is, what will we do with it? Will we allow the scars to rest with no purpose on the surface of our skin? Or will we use it to tell the story Christ? Reflection...a concert of music that displays the many ways that God's image can be seen in creation. 8AM Rehearsal start. 7:30PM Concert start. Register below if you are interested in participating. Threefold Cord Women's Choir will present Arise, My Soul, Arise. Join us for our debut performance at First United Methodist Church of Hershey at 7 PM.  The mission of the Threefold Cord Women's Choir is: To encourage and energize Christian women of all ages towards mentorship and service through the art of choral singing. Our mission finds at its roots the verses in Ecclesiastes 4 which read: 9 Two are better than one, because they have a good reward for their toil. 10 For if they fall, one will lift up his fellow. But woe to him who is alone when he falls and has not another to lift him up! 11 Again, if two lie together, they keep warm, but how can one keep warm alone? 12 And though a man might prevail against one who is alone, two will withstand him—a threefold cord is not quickly broken. And it is through this mission that we seek to support one another and other women in our community. The choir meets several times throughout the year for a one day rehearsal followed by a evening performance. This schedule enables more women to travel and participate; singers come from various locations throughout the northeast. Singers are responsible for preparing the music on their own, prior to the rehearsal/performance day. Our time together focuses on the intricacies of the music and the text being set. We are intentional about carrying out our mission in the music we perform. This choir is sponsored by Messiah College. Dr. Rachel Cornacchio currently serves as Associate Professor of Music and Director of the Graduate Program in Conducting at Messiah College where she teaches graduate courses in choral literature and applied conducting, and undergraduate level courses in curriculum and instruction in the areas of choral and elementary methods. Dr. Cornacchio serves as Conductor of the Messiah College Women's Ensemble. As a public school educator, Ms. Cornacchio served as an elementary general music specialist in Peekskill, NY and director of choral activities at Newburgh Free Academy in Newburgh, NY. While in Newburgh, choirs and soloists under Dr. Cornacchio's direction received top honors at solo and ensemble festivals. Dr. Cornacchio enjoys presenting many different styles of music. In addition to district and region choruses, she has been invited to work with jazz choirs, church choirs. Most recently she has worked with “modern day hymn writers,” Keith and Kristyn Getty on both their Joy: An Irish Christmas and Hymns for the Christian Life tours. Community organizations with which Dr. Cornacchio has worked include the Newburgh Symphonic Chorale and the Oregon Young Women's Choir. 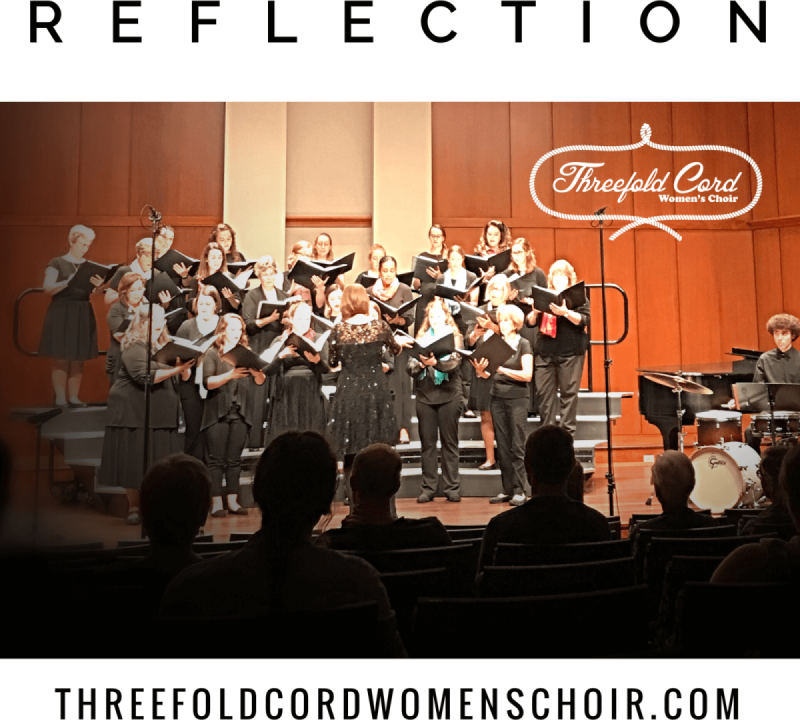 In April, 2018, Dr. Cornacchio will debut a new choir, Threefold Cord Women’s Choir in Hershey, PA. The choir, comprised of women from the east coast, seeks to mentor women of all ages through choral music. Dr. Cornacchio holds a B.M. in Music Education from Nyack College, the M.M. in Choral Conducting and M.M.E. from Florida State University, and the Ph.D. in Music Education from the University of Oregon. She has studied choral conducting with Rodney Eichenberger, Andre Thomas, Sharon Paul, and Paul Liljestrand. Dr. Cornacchio has presented interest sessions at regional, state, and international music conferences. She appears frequently as adjudicator, clinician, and honor choir director throughout the Northeast. 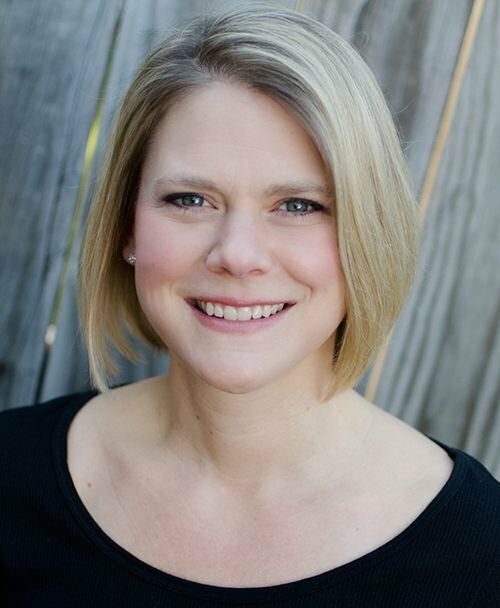 Her professional affiliations include the National Association for Music Education, Pennsylvania Music Educators Association, American Choral Directors Association, and Pi Kappa Lambda. 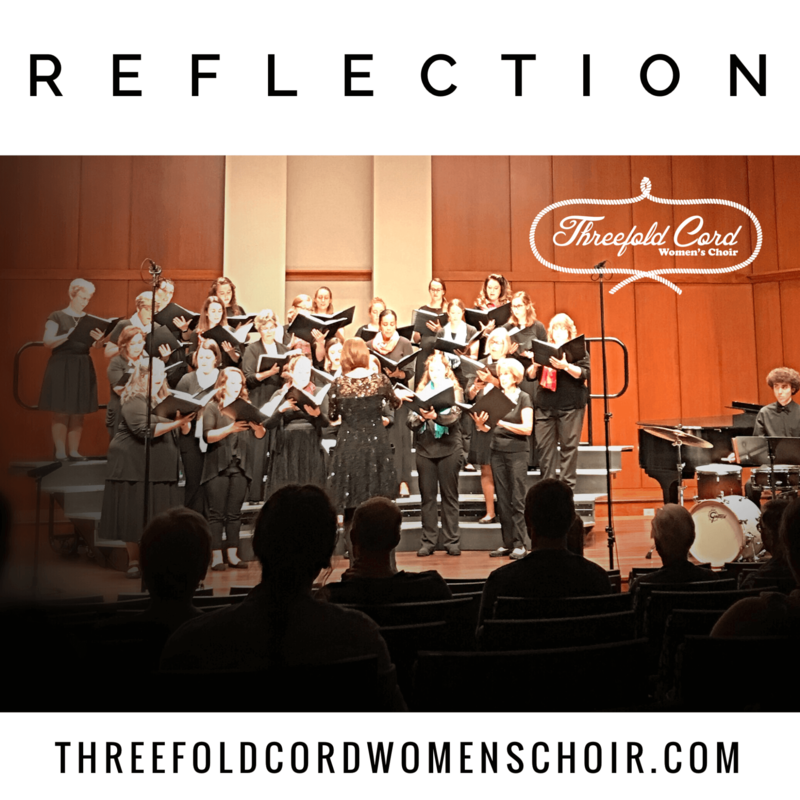 "Threefold Women's Choir has been the perfect opportunity to sing in a choir at a high level of musicianship. I love being able to put in the time that I have, and be a part of something meaningful, a ministry that Rachel has created that not only raises money for a cause, but ministers to the women in the choir by providing fellowship and choosing music that allows us to praise and reflect back on our lives and our souls. 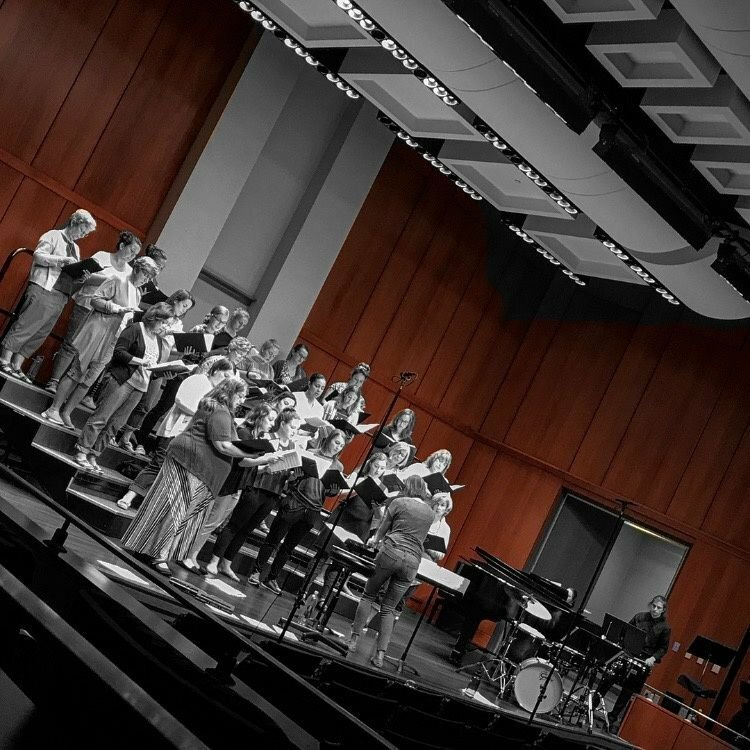 I love to sing with these people, and especially with Rachel because as a singer, it is so refreshing to rehearse in a low-stress, joyful, passion-filled environment. The musical result is always high quality and the concerts are memorable. 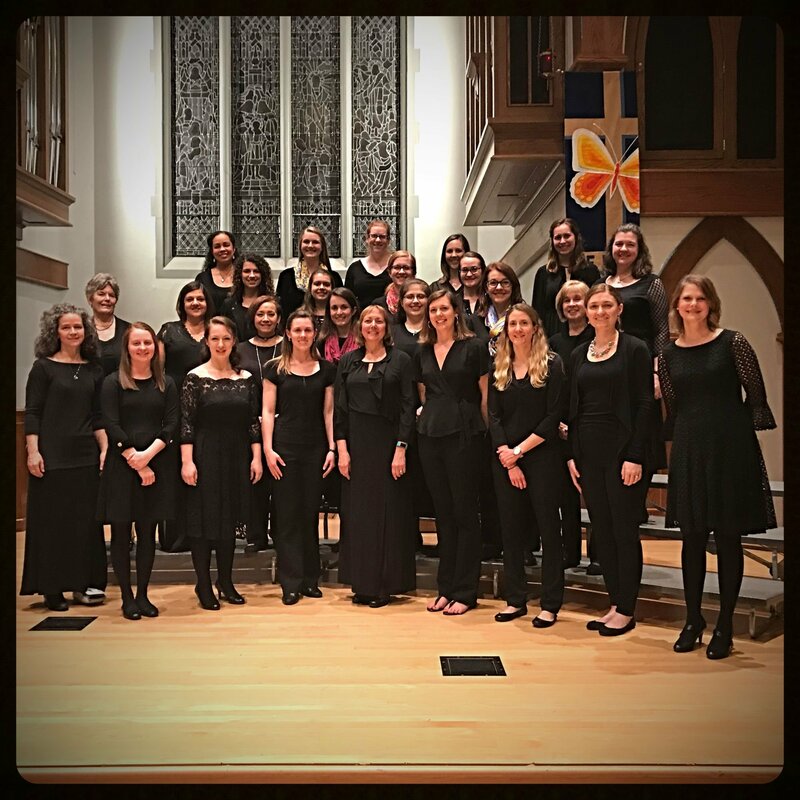 I would highly suggest this experience to any woman who loves music and reads well, and is looking for a short-term opportunity for fellowship and choral singing." "It was such a joy to join Three Fold Women's Chorus in September. I saw the Spring 2018 concert on a friend's Facebook page and thought it might be something I would enjoy. I was excited to get the music and begin learning my part. It was quite difficult at first because I was so used to learning in a group, I am not the best at sight reading and don't have access to a piano right now. I almost gave up but I am so glad to have persevered. This past Saturday of intense rehearsals, friendships made and then the concert made all the work worth it. Praise the Lord for beautiful music and lyrics and voices to sing praise to our Creator. And thank you Lord for our wonderful director. :)"